It’s that time of the year in Europe again. For two days next week, European development ministers and other international leaders will gather in Brussels, Belgium, to discuss pressing global challenges and the future of European development cooperation. Guiding the agenda at this year’s European Development Days are three themes: social protection and inequality, the role of the private sector in development, and agriculture, food security and resilience. 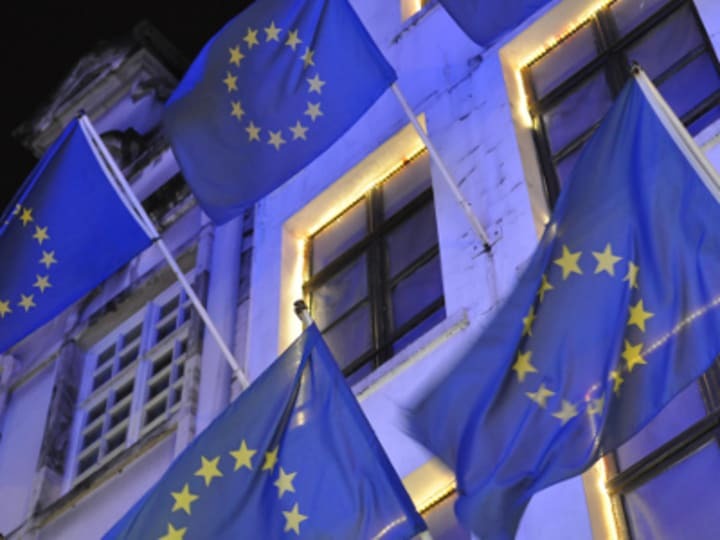 The European Commission has been rolling out several policy proposal, most notably on resilience, a concept many aid agencies have lately focused on operationalizing. Devex will be covering the EDD live from Brussels. If you’re attending the conference, stop by our booth in the exhibit space and watch us in our video studio as we interview international development leaders of all stripes. Check Devex News and subscribe to our Newswire, if you haven’t already, to watch our latest video interviews from the Belgian capital. To prepare for Europe’s most prominent gathering of aid officials, it’s worth taking another look at the EU’s foreign aid spending. The EU committed €12.33 billion ($15.89 billion) for external assistance in 2011, according to the European Commission’s latest annual report on development. This figure includes all of funds spent on programs outside the EU. Of this, €5.09 billion was drawn from the regional bloc’s general budget and channeled through the Directorate General for Development and Cooperation – EuropeAid, while €3.28 billion was drawn from the European Development Fund. The rest was from the bloc’s general budget but managed by other directorate generals. Sub-Saharan Africa received the biggest chunk of EU external assistance in 2011. Among sub-Saharan African countries, the Democratic Republic of Congo was the top aid recipient, with €278.53 million. The DRC, however, was only the third largest recipient of EU external assistance in 2011. The top two were the Palestinian territories (€377.29 million) and Afghanistan (€347 million). Meanwhile, among multilateral agencies, the top recipients of EU contributions in 2011 were the U.N. Relief and Works Agency for Palestine Refugees in the Near East (€115.3 million) and the Global Fund to Fight AIDS, Tuberculosis and Malaria (€65 million). Sector-wise, some 43 percent of total EU external assistance spending in 2011 went toward strengthening social infrastructures through projects in education, health, water, institutional development and the civil society sector. Approximately 17 percent was spent as multisector assistance, which includes funding for many environment-focused projects. Eleven percent was committed as humanitarian aid, including for emergency response, reconstruction, relief, rehabilitation and disaster prevention and preparedness. Projects in the production sector – agriculture, mining, forestry and similar areas – received an 11-percent chunk of 2011 spending. Nine percent of EU 2011 external assistance, meanwhile, was committed to economic infrastructure development and only 2 percent was made available as budget support. The rest of the money remains unaccounted for or was used to cover administrative costs, the EU annual report notes. How might these priority sectors, regions and countries change in the next few years, particularly at the start of the next EU multiannual financial framework in 2014? Stay tuned to Devex to find out what international development leaders are saying in Brussels.